BREAKING. International broadcasting rights for the Oscars to be handled by Disney Media Distribution until 2020.
International distribution of the annual Academy Awards known as the Oscars will continue to be handled by Disney Media Distribution until 2020. "Disney Media Distribution has been successful in securing distribution around the world for the Academy Awards, and we're thrilled to extend this partnership," Tom Sherak, president of the Academy of Motion Picture Arts & Sciences says in a just released statement. "The Oscars are an international event beloved by a global audience. It's a testament to the magic of Hollywood." The most recent Oscars were seen in more than 225 territories internationally. 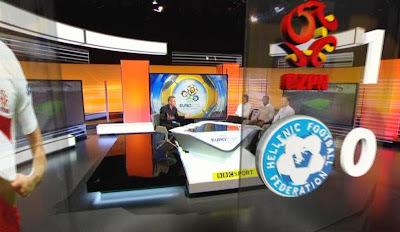 BEAUTIFUL SET FOR A BEAUTIFUL GAME: BBC Sport wins with the best customised TV set for Euro 2012. South African viewers can't see it (unfortunately!) but the very best sports studio sets for coverage of Euro 2012 undoubtedly goes to BBC Sport, broadcasting from custom-built studios into Britain. Auburn backdrops, smooth floor designs and almost best of all ... glass-like, translucent and beautiful 3D virtual graphics super-imposed on the set for viewers, creating a beautiful "glass curtain" effect. 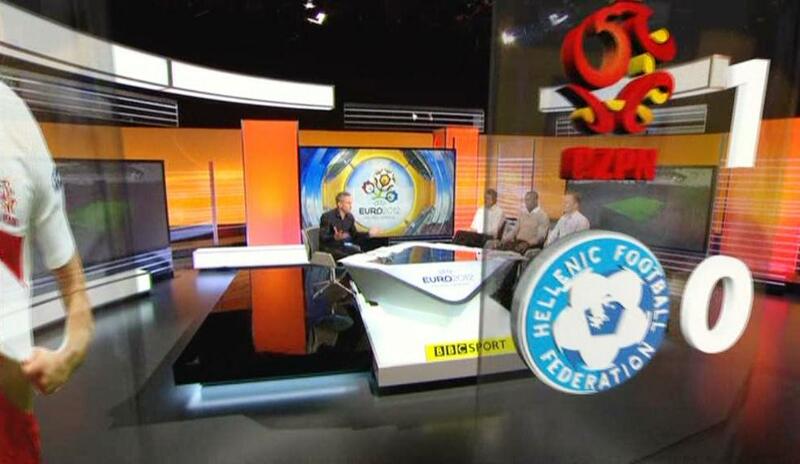 Beautiful, refined and sophisticated sets to cover a beautiful game. BREAKING. CNBC announces a new global show, Access: Middle East, starting on 5 July at 23:00 in South Africa. CNBC has announced a brand-new show Access: Middle East which will start globally on all CNBC regional channels - meaning CNBC Africa (DStv 410) as well - from 5 July at 23:00 (South African date and time) and will be shown every two weeks. Like most of what counts as real news from CNBC Africa the past few months, CNBC Africa didn't so much as say anything or bother to even issue the press release about Access: Middle East which will be a half hour show anchored by Yousef Gamal El-Din. According to CNBC Access: Middle East will be seen globally, including on all CNBC channels within the Europe, Middle East and Africa (EMEA) region, in which of course South Africa falls. "The Middle East remains a critical region for business and finance and the start of Access: Middle East allows us to build on our business day coverage of the region, with a dedicated half-hour programme that will give investors more insight in to the region and where best to place their money," says John Casey, the vice president for news and programming for CNBC International. Yousef Gamal El-Din will travel around the region taking an in-depth look at the key business centres and interviewing top business leaders and policy makers. Access: Middle East will start in Dubai and will also be produced from CNBC's bureau in Dubai. BREAKING. M-Net and M-Net HD channels to become 100% the same simulcast from 1 October. The M-Net (DStv 101) and M-Net HD (DStv 170) TV channels on MultiChoice's DStv will become 100% the same simulcast channels from 1 October this year. Up to now M-Net HD was a packaged simulcast channel with somewhat less adverts and a marginally different schedule that the "original" M-Net channel. That will all change in 3 months' time when from 1 October there will only be one M-Net HD feed going out. The M-Net HD feed will in fact be downscaled for the M-Net channel, I'm told. ANALYSIS. DStv and the 'secrets' inside the numbers of Naspers' latest financial report. It's like a puzzle - a financial statement or year-end report. Besides having to know how to decode and read it, you need insight, background and savvy context about both the company as well as the specific business environment within which it operates to interpret all of the hard information, to gleam from it what isn't explicitly stated, or what isn't obvious at first glance. Luckily I started my journalist career as a financial journalist before I moved to hard news and then decided to focus on specifically the TV industry. So let me give you the insight and new perspectives which you won't be reading in strictly financial publications, but which you also won't see from entertainment 'lite' journalists more interested in Bonang than broadcasting. 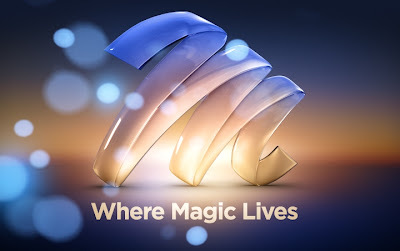 MultiChoice, folded into the greater Naspers media company, announced its preliminary financial results for the year ending March 2012 yesterday, with a conference call to investors late yesterday afternoon. MultiChoice continued its strong subscriber growth to achieve 5,6 million subscribers in Africa; and is now focusing strongly on the lower end of the market - HERE is what else MultiChoice said and presented during the conference call. The Naspers financial report which includes its big pay TV business contains numbers, statements and comments which needs to be lifted out in context to get the full(er) picture. Here's the "secrets" not immediately self-evident regarding DStv - and I'll tell you why it matters. These costs also do however also include costs associated with the roll-out of new TV channels, as well as investment in local TV content. This is a huge amount of money, and that it almost doubled over just 4 years is very important (an average 16% per annum increase for the last 4 years which is massive). Why? Well, unlike Eskom who simply passed the cost on, MultiChoice - although it is a business and not a charity and has a profit motive as its bottom line - haven't almost doubled their monthly subscriptions in the past four years. In real terms DStv subscribers are actually getting more for their rand, since MultiChoice has been paying incrementally more per year for content that what subscribers do. Why it matters: While DStv subscribers have come to almost automatically assume that MultiChoice will just have and show everything - especially sport, it is conceivable - given the very sharp rise in programming costs - that a point will come where even MultiChoice will just not be prepared to buy the broadcasting rights to a certain event anymore. To contain this cost or to keep it down, MultiChoice might reach a point where it refuses to pay and play ball when rights become too priced out. Programming costs can't continue to rise like this without some major difficult decisions at some point - sooner rather than later - in the future. 2.DStv is very well aware that there is competition and is reacting to it. Some griping subscribers refer to MultiChoice as "MonoChoice" - a jab at the South African pay TV provider they would say is out of touch and behaving like a monopoly. Not really true. MultiChoice has in the past year significantly increased its decoder and installation subsidy (also for the HD PVR - its most expensive model, so it is not just subsidising the lower-end of the market). MultiChoice is therefore clearly aware of competition, increased competition, churn, and that subscribers have choices. For the first time in years MultiChoice also talked about digital terrestrial television (DTT), meaning that MultiChoice is aware that in South Africa, it needs a strong pro-active strategy to maintain and grow market share when this tsunami of new television hits. Why it matters: I think MultiChoice is pro-actively trying very hard to lower the biggest single barrier of entry to pay TV uptake in South Africa (as well as the rest of Africa) (where DTT already exists, but also where it hasn't commercially launched yet). If MultiChoice can sew up more new entrant subscribers, it "removes" those people from trying a DTT decoder later when DTT becomes available. It grows the captive audience before they're given the chance to be lured away. TopTV's ongoing 100% subsidy on installation and 90% on the decoder also clearly promoted MultiChoice to respond to the changing market conditions and new subscriber perceptions in South Africa around pay TV. 3.Why a video store franchise in South Africa is definitely no longer a good idea. In one line, almost underplaying its great significance, MultiChoice announced that its new DStv BoxOffice service introduced in July 2011 (with a disastrous commercial launch I may add and which actually makes the "recovery" and achievement even more spectacular), now rents in the region of 300 000 movie titles per month. At R25 a pop per movie, that's R7,5 million in additional new revenue for MultiChoice per month. Why it matters: Only 40% of all PVR subscribers are registered so far, who are using DStv BoxOffice. A big number, but that's actually less than half. It means that these figures can still more than double in future. If you don't run a niche video shop, or if you run a normal video shop or a movie cinema where people throw popcorn and talk loudly on their cellphones, you had better start doing something fast about your positioning, brand experience, offering and marketing mix, since its very clear that DStv BoxOffice is very fast starting to lure DVD renters and cinemagoers away. This is clearly very quickly having an impact on DVD rentals and cinema ticket sales in South Africa. 4.A little bit less attention to the top end subscribers? 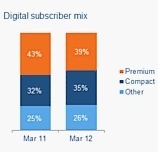 MultiChoice's DStv Compact bouquet is performing exceptionally well, so much so that by the end of March 2012 DStv Compact has added 293 000 new subscribers (out of a total of 492 000 new subscribers). MultiChoice is also saying it has and will have a strong focus on the lower end of the market in an aggressive ongoing attempt to enter the mass market. Why it matters: MultiChoice has lacked and DStv is far behind the rest of the world in the roll-out of high definition (HD) TV channels. It's mostly due to limited remaining satellite bandwidth and MultiChoice needs to wait for the next Intelsat. With HD channels still the privileged domain of DStv Premium subscribers, does it mean that with more attention, effort and money going to the lower end of the market, that DStv Premium subscribers are getting less innovation and value-added services although they pay top rand for more bells and whistles? When will DStv Premium be making another leap to differentiate the top bouquet which indeed got somewhat diluted the past few years by the addition of a myriad of new TV channels being sold through on DStv Compact? MultiChoice's PVR is now in a further 177 000 more TV households in South Africa after another year for a total of 675 000 PVR households. It's major growth, which MultiChoice only mentions in a one-liner. This is however building and advancing a seismic shift in not just the way South Africa TV viewers consume television (time-shifted viewing will surely continue to grow, although from a small but significant base) but also how viewers interact and increase the level of familiarity they feel with this TV techonology. Why it matters: The strong growth suggests that increasingly a PVR and PVR technology is no longer seen by the South African consumer and TV viewer as a luxury but as a must-have necessity to enhance their TV watching experience. Possible new entrants in the pay TV sphere as well as existing players (will) simply look old-school and dodgy for not having PVR capability as a standard-default design in decoders. Viewers and pay TV subscribers now definitely know about this technology, is figuring out how it works, and loves it. It would also be prudent for the advertising community to educate themselves about the growing relevance and influence of time-shifted viewing (TSV) in South Africa. Pay TV is of course discresionary spending. With the South African and African consumer under increasing pressure with a shrinking disposable income, it is very interesting that they choose to use some of that money to pay for television. Despite tougher economic conditions, a huge amount of people still decided to keep, and to get pay TV for the first time. Why it matters: This means that TV, watching television, and being willing to pay for subscription television is, or has become, an even bigger priority to average consumers, relative to all the possible monthly expenses they could incur. Since consumers are not getting richer (thanks petrol price increases, thanks electricity and food price increases) it means that consumers are deciding to keep and get pay TV, and are possibly letting go of spending on other luxury items. It means they value their television and their pay TV subscription more in relation to the value they perceive they're getting from other things. With strong growth, MultiChoice is heavily focused on expanding its DStv pay TV service to the mass market; wants to be anywhere, anytime. MultiChoice wants to expand its pay TV business to the lower end of the market both in the rest of Africa as well as South Africa through utilising digital terrestrial television (DTT) (which has not commercially launched in South Africa yet). MultiChoice is also working to provide its DStv pay TV platform's content anytime, anywhere and on any device as broadband access and speed grows inside South Africa and across the continent. Naspers which includes MultiChoice as a pay TV business, announced its preliminary financial year results for the year ending March 2012 today with MultiChoice achieving strong growth and increasing its total subscriber base in Africa to 5,6 million households. Pay TV subscriber growth is up 14% year-on-year (YoY) for MultiChoice which now operates in 48 countries across Africa, but competition is steadily increasing. Regarding subscriber growth, Koos Bekker, Naspers CEO said "it was our second best year ever," in an hourlong conference call to investors this afternoon. "It didn't get to quite the World Cup heights, but it was in our view pretty good." In the conference call Eben Greyling, the CEO of pay TV platforms at Naspers said "we're very satisfied with the subscriber growth." "Competitive pressures continue to increase across the continent and the impact of that can be seen in the increase in our cost and especially in content cost over the last couple of years," said Eben Greyling. "Our strategey remain the same: we want to provide our DStv content anytime, anywhere and on any device. Globally we've seen pay TV operators being challenged by the entrance of new companies delivering content online directly to consumers. Africa unfortunately has lagged the developed markets in the online space; this will however change over the next couple of years and we have various developments in place to prepare for the shift to online distribution of content." "The second part of our strategy is to expand our service to the mass market. The roll-out of DTT in our main markets is core to this strategy, so positioning the business is important," said Eben Greyling. Interestingly, MultiChoice's programming costs has almost doubled over the course of the past 4 years to just over R6 billion. That is the costs associated with acquiring TV shows and movies exclusively and in a first-run window for territories; as well as the sports rights to major sporting events. "Programming costs have increase on average 16% per annum for the last 4 years and the increase in the last year was 10% on a year-on-year (YoY) basis," said Eben Greyling. "That was due to additional sport rights coverage that MultiChoice included for the first time, and our investment in local content and new TV channels especially in the lower market segments." 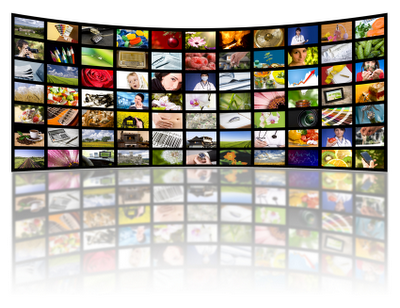 "The pay TV business in South Africa performed well in the past year," said Eben Greyling. "We achieved growth of 493 000 subscribers on the back of extensive marketing campaigns and hardware specials. Growth in the DStv Compact bouquet remains strong. The popular PVR decoder recorded growth of 177 000 to end on 675 000 homes. The focus on growing the PVR base did result in an increased investment in decoder subsidies." "For DStv BoxOffice we've now got more than 40% of our PVR homes registered for this service and average more than 300 000 movie rentals per month," Eben Greyling said. In the rest of Africa MultiChoice is experiencing pressure on margins due to the start-up of new DTT operations and the development cost involved in the roll-out of DTT, investment in local content and new channels and sports rights. "You'll see a focus on driving household penetration, and digital terrestrial television is one of the ways that we want to open up that market," Koos Bekker said. Operationally the accelerated DTT roll-out will have consequences for capital expenditure and operating cost for MultiChoice, the pay TV operator warned. Eben Greyling was asked by an investment analyst about the impact of DTT, as well as the churn [customers who become subscribers, then cancel after a while, and have to be persuade to sign up again]. "It's too early in the roll-out of DTT to see a trend or what trend is developing on churn for DTT," Eben Greyling said. "The moment you go into the lower end of the market, price sensitivity becomes an issue and if you manage to bring down the barrier to entry, if you bring down the price of the equipment, then you see a much larger take-up of the product because it has a lower price. But it also impacts on the quality of the customer that you get which will likely result in an increase in churn." BREAKING. MultiChoice continues to achieve strong growth for its DStv pay TV service; now has 5,6 million subscribers in Africa. The pay TV platform MultiChoice has grown by 684 000 subscribers in the year and the total numbers of MultiChoice subscribers now stands at 5,6 million households, according to Naspers' provisional financial report for the year ending March 2012, which was just released. Revenues of the pay TV business is up 15% to R24,1 billion, while trading profits grew 11% to R6,3 billion. In South Africa the gross base added 492 000 subscribers to some 4 million households, of which 293 000 new DStv subscribers came from MultiChoice's lower priced DStv Compact bouquet. Despite a disastrous launch DStv BoxOffice has proved a major success for MultiChoice, with the pay TV platform citing an average monthly rental of a staggering 300 000 movies being rented per month. In the rest of Africa, MultiChoice grew its subscriber base by 192 000 DStv subscribers to 1,6 million homes in the past year. 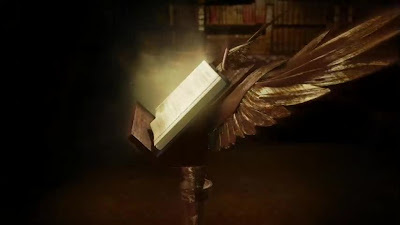 More news and analysis at the end of the day when I have had time to go through everything, read and study up on it all. 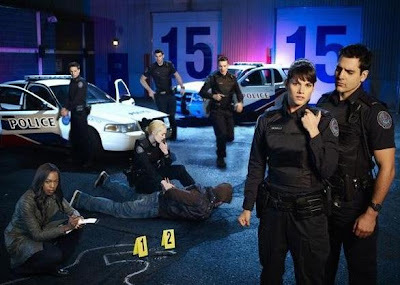 Rookie Blue renewed for a 4th season of the Canadian police drama seen on SABC1 and The Universal Channel. Rookie Blue, the Canadian produced TV drama following the policemen and woman of 17th Division in Toronto has been renewed for a 4th season with production which will start on 20 August. Rookie Blue is shown on Global in Canada, ABC in America and in South Africa Rookie Blue can be seen on both SABC1 and The Universal Channel (DStv 108). "Rookie Blue's fourth season renewal in simulcast is unprecedented territory for any Canadian original series and we're excited to lead the way," says Barbara Williams, the senior vice president for content at Shaw Media in a press statement. Advertiser-funded programming increase on SABC1 as the public channel takes over Tropika Island of Treasure which was on e.tv. SABC1 is taking over the product-placement heavy, advertiser-funded realitrash Tropika Island of Treasure and the upcoming 5th edition will be taking place in Jamaica, exactly as I exclusively revealed it would back in March. The advertiser-funded production (AFP) used to be on e.tv which is now obviously done with it. The advertiser-funded production (AFP) on a public TV channel of South Africa's public broadcaster - which ideally shouldn't be dabbling in this kind of commercial airtime exploitation - least of all during primetime, is slotting the 5th edition of Tropika Island of Treasure for Saturdays at 18:30 from February 2013. Tropika Island of Treasure is still being produced by Stimulii with Samantha Moon as executive producer. How far off is an "all-stars" version? "SABC1 aims to bring viewers only the best in South African entertainment and we are very proud to add Tropika Island of Treasure 5 to our line-up," says Leo Manne, SABC1's acting channel head in a press statement. BREAKING. Forcing operators to sell TV channels separately will destroy the pay TV business; lead to fewer viewing choices, only 10 channels. If pay TV operators were to be forced to sell TV channels separately to pay TV subscribers on a so-called a la carte basis and forced to do a so-called "unbundling" of their TV channels it will destroy the billion dollar pay TV industry, lead to less choice, and to only 10 TV channels in America that survives, a new independent analysis on the pay TV industry has found. In America the department of Justice is investigating the pay TV industry as well as the programming and TV channel bundling agreements - the basic premise on which the pay TV industry's model is based. It comes as South Africa's National Consumer Commission issued a compliance notice to MultiChoice's DStv, On Digital Media's (ODM) TopTV and the SABC which the commission since had to retract after it acted too hastily. 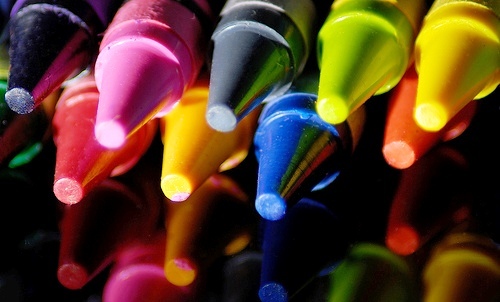 The Commission wanted them to sell and make available various TV channels separately - in essence selling single crayons instead of crayons by the box. ALSO READ: South Africa's National Consumer Commission clearly clueless as to why ordering pay TV operators to sell TV channels separately, is a very bad move. ALSO READ: The real cost to the consumer should South African pay TV operators be forced to sell TV channels separately. ALSO READ: South Africa's pay TV sector in peril - how the National Consumer Commission will break the pay TV business if it forces the "unbundling" of TV channels. Now a new independent American analysis by Needham & Co. has issued a grave warning that forcing pay TV companies to offer TV channels on an a la carte basis - giving individual TV channels all separate prices and allowing each subscriber to to subscribe to only the specific TV channels they want to pay for - would present tremendous risk to every company in the TV business, including production companies, separate broadcasters and the entire TV ecosystem. In the new report by analysts Laura Martin and Dan Medina from Needham & Co., the analysts warn that if pay TV operators are forced to "unbundle" TV channels, that it would destroy $300 billion of value within just the American TV industry, will endanger 1 million jobs with the TV industry, will negatively impact consumers' video choices, and that only 5 to 10 traditional TV channels in America would be able to survive such a move. "The government is a bull in the proverbial china shop with unintended consequences likely to destabilize the delicate work of the invisible hand which is working today in the TV ecosystem," Dan Media and Maura Martin writes. Without the ability to sell TV channels in a bundle to consumers, just five to 10 'hit channels' would be profitable enough on a standalone basis to survive unbundling, says the analysis. That means that hundreds of TV channels - even though a specific channel may be the favourite of a specific pay TV subscriber - would become uneconomic to produce and run and will simply cease to exist. The report surveyed 500 TV viewers in America to gauge which TV channels they would like, would select and would pay for if they were able to choose just the TV channels they want. "Minority and special-interest channels would be unlikely to survive," the Needham & Co. analysis has found. "Since the average TV households watches 12 to 14 TV channels each month, every households would lose TV channels which they believe are important to them. In an a la carte world, consumer satisfaction would be destroyed." The report says an a la carte model would "bankrupt all niche TV channels within five years, destroying enormous value" for TV viewers and pay TV subscribers and the TV industry. Pay TV revenue would also drastically decline by between 15% to 20%, and ad revenue will dramatically plunge by 75%, the analysis projects. It would put 1 million jobs in America at risk which includes employees at pay TV operators, telecommunication forms and 500 000 employees at media companies who all depend on profits generated within the pay TV industry. "We believe that every job in these companies is at risk if the TV ecosystem is disrupted by the government because TV is the most material contributor to revenue in every case," says the report. 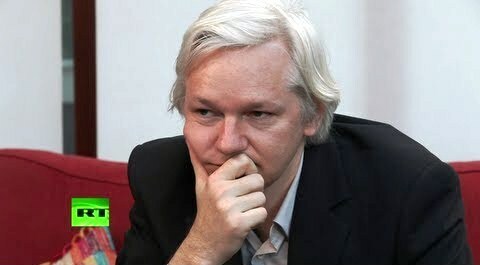 Programming note: Julian Assange talks about the uncertainty of the world as he faces uncertainty of his own. Today on RT (DStv 405) Julian Assange will be talking to the two leading intellectuals Noam Chomsky and Tariq Ali in his weekly talk show The Julian Assange Show (quietly rebranded from the original The World Tomorrow) at 13:30 (South African time). Both will be talking about the future of global movements such as the Arab Spring and the Occupy Wall Street movement in today's 11th episode. These intellectuals share their views about the history of change, how changes are made in general, how movements are created and kept alive and share insights into where things are going now. The discussion today about the world's future comes at a time when Julian Assange is facing a lot of uncertainty of his own. After the Supreme Court of the United Kingdom denied his appeal of extradition to Sweden, the Wikileaks founder has sought refuge at the Ecuadorian Embassy in London where he has been awaiting a decision on political asylum, or a guarantee that Sweden won't extradite him to the United States on Wikileaks-related charges. Carte Blanche on M-Net goes a little bit Star Trek as Chantal Rutter Dros in a 'Starfleet' uniform looks like she's on her way to a Star Trek convention. On the left: A Starfleet officer circa 2364 in Star Trek The Next Generation. 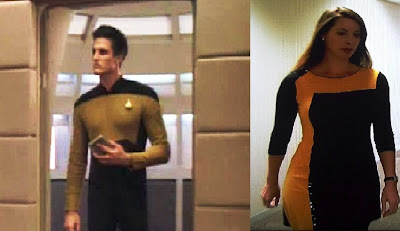 On the right: not a Starfleet officer (but very much looking like one), circa 2012 on Earth. The classy Carte Blanche presenter Chantal Rutter Dros left viewers wondering whether the weekly investigative magazine show on M-Net on Sunday nights warped into the future when she sashayed down brightly-lit corridors on Sunday evening in a black and yellow "officer's dress", looking very much dressed in what could have passed for a Starfleet uniform. Conspicuously absent was a com badge. Was Chantal Rutter Dros on her way to a South African Star Trek convention? And where were the Vulcan ears? Chantal Rutter Dros was in fact doing a usual insert for the show, interviewing a South African government official, but the dress was anything but usual. Her appearance was instantly reminiscent where TV viewers have boldly gone before: Gene Roddenberry's Star Trek The Next Generation. In a sense Chantal Rutter Dros does represent the next generation of the venerable and award-winning South African magazine show, having joined the show a few years ago after Ruda Landman left. 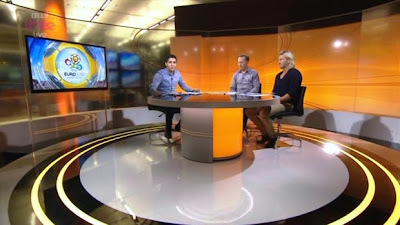 If anything, Carte Blanche presenters if they choose Star Trek clothing, should actually be more Borg-like in appearance. You know ... because resistance in futile. Christiane Amanpour in Cairo talking to Aung San Suu Kyi in Oslo - and the true brilliance of global 24 hour news. Sadly it doesn't happen often - it doesn't even happen 24 hours of the day - but when global television news lives up to the best of what it should and can be, and makes full use of its true reach such as CNN International (DStv 401) showed last night with Christiane Amanpour, the result is nothing short of spectacular, impactful, amazing and inspiring. In Amanpour Friday night on CNN International, South African TV viewers and viewers around the world, saw the always-brilliant Christiane Amanpour - uniquely the undisputed "news Oprah" of the world with all her high profile exclusive interview "gets" - interviewing Aung San Suu Kyi. Why amazing? First off, Christiane Amanpour did the interview by satellite from Cairo, Egypt. Christiane Amanpour took her New York based weekday show Amanpour to Cairo and did the show from there the past few days covering the aftermath of the Egyptian elections. Then Christiane Amanpour interviewed Aung San Suu Kyi live who's based in Oslo, Norway after she visited Britain earlier this week. How incredibly rare and actually extraordinary a moment to be watching in one part of the world - wherever the viewer is based - the world's best television news journalist based in another part of the world, doing an insightful, revealing and great interview with a high profile international news maker based in yet another part of the world. Despite the explosion of global 24 hour TV news channels and the plethora of choices, something like Christiane Amanpour, based out-of-studio in a foreign location, interviewing someone live for longer than the 2 minute satellite link-up limit also based out-of-studio in also a foreign location simply does not happen as often as one would think. It shows what is truly possible (yet very expensive and time-consuming to book and execute) for global television news and what is possible for this medium and this genre and this news platform when it meets its highest form of functionality. If you think for a minute of what it takes to link Cairo with Oslo live, then broadcast it to the world, after getting the interviewee to agree for a sit-down, and having surely had very little time to try and book the guest, its truly amazing what's possible. Kudos to CNN International and Christiane Amanpour specifically for remaining true to a ethos of real news values; for pushing for relevancy and immediacy in an environment and an era where most of what is real news has largely fallen by the wayside, and for using the bit of satellite link time available and utilising it for the best substantive content that the medium - and the production team - can deliver. BREAKING. Jana Bennett out as president of BBC Worldwide Networks as BBC Worldwide restructures into 7 geographical worldwide regions. Jana Bennett is out as the president of BBC Worldwide Networks which runs the BBC's commercial portfolio of channels such as BBC Entertainment, BBC Knowledge, BBC Lifestyle and CBeebies in South Africa and across the world. Jana Bennett is leaving BBC Worldwide Networks later this year as BBC Worldwide Networks announced a major restructure with a bigger focus on international markets which will come into effect on 1 October. BBC Worldwide will be doing away with its five global divisions and move to 7 geographical regions with South Africa and Africa falling in a new CEEMEA (Central and Eastern Europe; Middle East and Africa) region which BBC Worldwide sees as being part of a "high growth group". The other regions will be North America, UK, Australia/New Zealand, Western Europe, Asia and Latin America. Each of these 7 regions will report into 4 presidents, all of whom will report to John Smith, the BBC Worldwide CEO. "The new organisation is designed to help us capture untapped opportunities for high quality British content and BBC branded services across the world in order to sustain our track record of strong growth into the future," says John Smith in a statement. "It has been worked out over a number of months, with inputs from across the world, and throughout our company. I believe it will accelerate delivery of our global portfolio, and help us drive future growth and returns for the BBC." In a separate statement from BBC Worldwide Jana Bennett says "My time at BBC Worldwide has been exciting and stimulating. I am delighted to have grown the BBC's international channel portfolio at a time when global markets are so highly competitive and to have brought quality British programmes and events to new audiences around the world." She said that with the restructuring she feels "this is a good moment for me to work outside BBC Worldwide". Programming note: The Cycle on MSNBC replacing The Dylan Ratigan Show from Monday on weekdays. 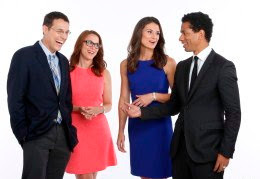 The Cycle is the brand-new show starting Monday on MSNBC (TopTV 410) and which will be replacing The Dylan Ratigan Show which ended today. The Cycle which is clearly derivative of The Five on The Fox News Channel (TopTV 405) is a roundtable discussion show with commentators S.E. Cupp, Touré, Steve Kornacki and Krystall Ball. The four will talk about the news stories of the day. "I'm looking forward to getting their take on politics and news of the day – every weekday," wrote MSNBC president Phil Griffin in a memo to MSNBC staff today. BREAKING. Stuff it MultiChoice, says Nando's who won't run its advertising on DStv anymore; Nando's says its upset with how MultiChoice handled it all. Now it's Nando's turn to tell MultiChoice to take a hike, with the chicken fast food chain - extremely upset with how the pay TV platform dealt with the issue of suddenly yanking its anti-xenophobia "Diversity" TV commercial off the air - saying it definitely won't be advertising on MultiChoice's DStv channels. Nando's is upset with the way in which MultiChoice handled the matter. Three weeks ago the SABC suddenly decided not to broadcast Nando's booked new "Diversity" TV advert. Whilst MultiChoice showed the ad for 4 days, MultiChoice suddenly followed the SABC and instituted a self-imposed ban on Nando's advert. e.tv followed. Civil society and public freedom of speech pressure groups severly criticised MultiChoice, the SABC and e.tv and slammed South Africa's broadcasters for not wanting to show the ad which addresses the vexing issue of intolerance towards non-native South Africans. Then On Digital Media (ODM) announced on Wednesday that Nando's approached them and that Nando's TV commercial will be shown across multiple TV channels on TopTV from Thursday. A day later, today, MultiChoice suddenly announced that the pay TV platform has lifted its self-imposed "suspension" of Nando's ad and that it would "reinstate the flighting of the commercial shortly". Not so fast, says Nando's. Nando's says MultiChoice won't get its money again or be asked to show the TV commercial. Nando's says it is upset with the way in which MultiChoice dealth with the issue and that MultiChoice won't be approached again to show its commercial on DStv channels and that Nando's is of the believe that MultiChoice only reversed course becauase TopTV agreed to start showing the advert from Thursday. BREAKING. M-Net scoops new drama The Newsroom; will start on 6 August at 20:30. Breaking news! (and well done.) M-Net has scooped the rights to the brand-new upcoming drama The Newsroom by Aaron Sorkin which I can exclusively reveal, will start on M-Net on Monday 6 August at 20:30. The Newsroom starts this Sunday in America on HBO - imagine The West Wing, set inside, and behind-the-scenes of a 24 hour news channel such as the eNews Channel, CNN, MSNBC or the Fox News Channel. Everything starts when the one veteran news anchorWill McAvoy (played by Jeff Daniels) visits a university where his off-hand remark while he rails about the state of the media and news creates instant buzz. Now all eyes are on him and the (fictional) 24 hour news channel, Atlantis Cable News (ACN) and his prime time news show News Night. And how coincidental: the eNews Channel's prime time daily news broadcast in South Africa with Jeremy Maggs is also called ... News Night. Clever viewers will hopefully love this drama about the media and news and meta media and media memes. BREAKING. DStv lifts its self-imposed 'suspension' of Nando's Diversity anti-zenophobia TV commercial after TopTV started showing it yesterday. MultiChoice's DStv has lifted its self-imposed suspension of Nando's ''Diversity" anti-xenophobia ad after Nando's took its money and its TV commercial to On Digital Media (ODM) earlier this week. TopTV was willing to broad the TV advert on multiple TV channels and started doing so from yesterday. MultiChoice yanked Nando's TV commercial off the air three weeks ago, a few days after the SABC refused to broadcast it. e.tv then also declined Nando's ad and the chicken franchise's money. Now DStv is willing to take Nando's money again after TopTV started broadcasting the Nando's ad since yesterday over multiple TV channels on their pay TV platform. DStv announced that it has "lifted its suspension" of Nando's TV commercial which is now called "hyperbole and harmless parody". "We will reinstate the flighting of the commercial shortly," says Chris Hitchings, the CEO of DStv Media Sales, MultiChoice's advertising arm for DStv and M-Net, in a statement. Civil society and public pressure groups blasted South Africa's broadcasters and DStv three weeks ago for its self-imposed sensorship of the Nando's ad. 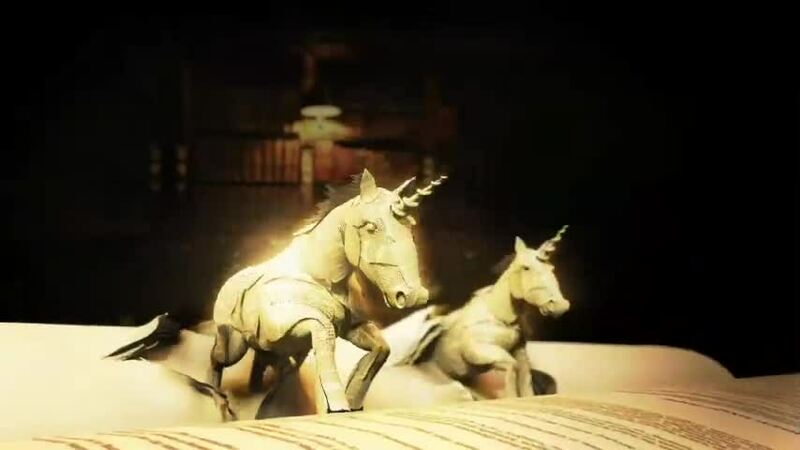 Great TV promo for M-Net Movies 1, We Tell The Best Stories, wins 10 PromaxDBA awards for M-Net; e.tv wins an award too. M-Net has scooped 12 awards at this year's 2012 PromaxDBA Promotion, Marketing and Design Awards, and e.tv won as well. 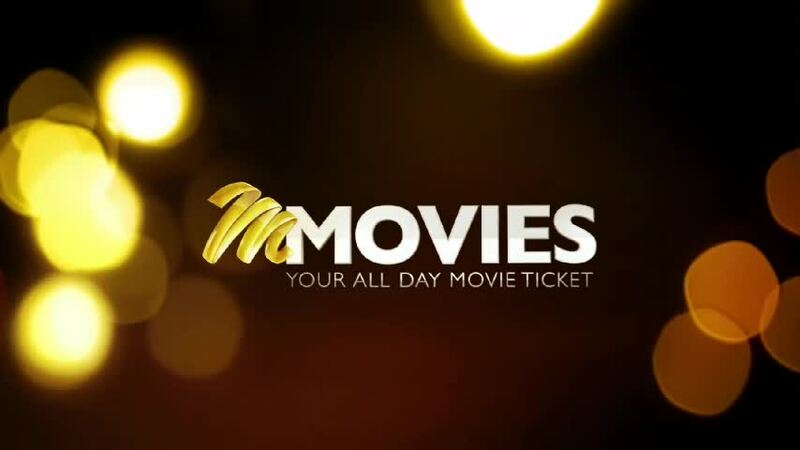 Out of the 12 awards for M-Net, 10 went to the M-Net Movies 1 HD (DStv 175) TV channel in South Africa. Clearwater won two awards - a silver and a bronze for TV promos for the M-Net channel. South Africa's e.tv won a bronze award for the "e is for everyone" campaign. "We are proud to have a world-class creative team that continues to produce work that gains international recognition," says Monde Twala, e.tv channel head. "The channel is committed to drive content that appeal to all South Africans." M-Net won gold awards for editing, animation, best directing, best editing, best copywriting and best collaborative effort for the promo We Tell The Best Stories. The same promo won silver awards in the categories for general branding image and art direction & design: program/content. The promo also won bronze for DMCI Image Spot. 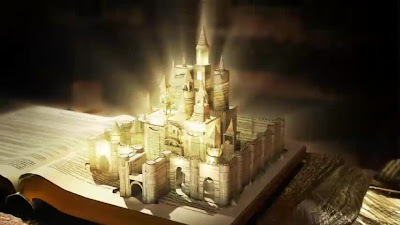 Monarchy which produces promos for both M-Net Movies 1 and M-Net Movies 2 also won best creative design team of the year. South Africa's TV industry can nominate people to serve on South Africa's new Broadcast Production Advisory Body (SABPAB). The department of communications is now calling for nominations for the new South African Broadcast Production Advisory Body (SABPAB). I reported last month the minister of communications, Dina Pule, wants to establish to oversee and advise the South African TV industry on local TV content - both in terms of productions and development, as well as quotas, and strategies for the new digital era of TV broadcasting in South Africa. The plan is for the SABPAB - the acronymn coined by the department of communications - to have 12 members who will be advising South Africa's government on the development, production and broadcast of local TV content in the country. The SABPAB will have to represent the South African government, thre regulator, civil society, consumer groups and organised labour. Interestingly the SABPAB, the minister and the department of communications makes zero mention about the inclusion of actual TV critics, TV writers and journalists covering television (who probably wouldn't want to be included anyway due to a possible conflict of interest) but who actually cover and know the medium very well. Nominations for the South African Broadcast Production Advisory Body (SABPAB) must be made by 20 July. Nominations should be send to: The Minister of Communications, For attention: Ms Sewela Letsoalo, The Department of Communications, P/Bag X860, Pretoria. Nominations can be faxed to: 012 427 8030. BREAKING. Style Network unveils a brand-new blue logo and slogan of 'Work It. Love It. Style It.'. Style (DStv 183) is doing away with its pink dotted circle and is unveiling a brand-new channel logo and image with the slogan "Work It. Love It. Style It." 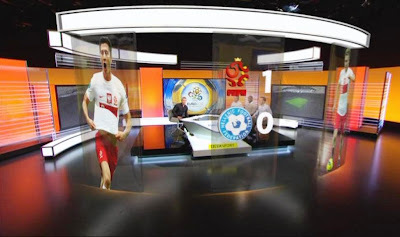 It's not known when the new logo and look will into effect on South African TV screens. Asked when the change of the channel would affect Style in South Africa, Style said "there are no confirmed plans yet". Discovery Science on TopTV and TLC on TopTV and Dstv are two recent examples of TV channels where the on-screen change happened in South Africa long after the look of the channels already changed overseas. The Style makeover comes shortly on the heels of the makeover of E! Entertainment (DStv 124) which unveiled that sister channel's new look in May and which will come into effect in July in America and in September in South Africa. The Style Network will change its logo and appearance in America on 25 June with the aim of differentiating the channel more from competitors and which is not well know for its genre specific programming mostly catering to women. BREAKING. Is the eNews Channel changing its name when it changes its look, to simply the ENC or ENCA? I can exclusively break the news that the News Channel (DStv 403) is considering changing the 24 hour South African TV news channel's name to simply an abbreviation - either ENC or ENCA - at least according to what insiders are telling me, when the eNews Channel unveils and launches its new look soon. The eNews Channel also plans to launch its new online website at www.enca.com before the end of the year. e.tv which I asked about it all and the possible name change more than 24 hours ago, didn't respond to my media enquiry. In May I broke the news RIGHT HERE that the eNews Channel is working on a new on-air look and logo althought the colour scheme of black, white and blue would likely remain. Preliminary ideas first surfaced in April. In July last year I broke the news RIGHT HERE that e.tv and the eNews Channel are ready to start an online presence and an online news division and expanding the eNews Channel into cyberspace. The plan is to present news online similar to the way Sky News and other 24 hour news channels such as CNN do. 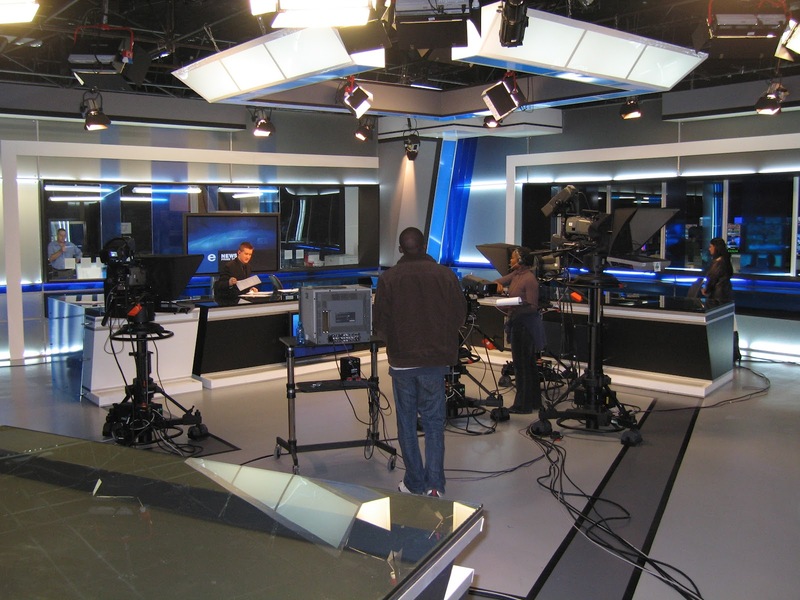 All of this is now coming together at www.enca.com - standing for the eNews Channel and what will be its new website. The www.enewschannel.co.za which also previously only redirected to e.tv's normal website is now also active. "The rebranding is underway," a source told me yesterday. Another said: "It won't be the eNews Channel anymore but ENC or ENCA which stands for eNews Channel Africa. At least that is what people are saying." Meanwhile the eNews Channel has also been having dealings with the British broadcasting regulator, Ofcom, I was alerted by a source. It seems that the eNews Channel as ENC Africa or ENCA has been granted a licence to broadcast within the United Kingdom. Is e.Sat, e.tv and the eNews Channel planning to expand their local news channel into Britain as a TV channel where only a daily news shows has so far been seen? I asked e.tv and the eNews Channel about this separate development last week. "We've been broadcasting into the United Kingdom for months on TAC, and all other options where we have been seeking distribution are not finalised," Patrick Conroy, the eNews Channel head told TV with Thinus in a statement. BREAKING. Special 39th Annual Daytime Emmy Awards coverage on Showbiz Tonight on Star! on Friday. The Daytime Emmy Awards are still not being seen in South Africa but the country is getting closer - South African TV viewers will be able to watch special 39th Annual Daytime Emmy Awards coverage in a special episode of Showbiz Tonight on Star! (TopTV 179) on Friday at 17:00. This week Showbiz Tonight's AJ Hammer has been talking to various soap stars like Deidre Hall who plays Marlena on Days of Our Lives. Showbiz Tonight will also have special coverage next week after the 39th Annual Daytime Emmy Awards taking place in America on Saturday. Disney bringing The 7D as a new animation series to Disney Junior from 2014. The Walt Disney Company is updating and and bringing Snow White and the Seven Dwarfs to Disney Junior (DStv 309) in a new animated TV series entitled The 7D. The 7D (for the 7 dwarfs of course) will start in 2014 and is described as a "comedic take on the world of the Seven Dwarfs, set in a contemporary storybook world". The 7D takes place in Jollywood where Queen Delightful relies on the 7D - Happy, Bashful, Sleepy, Sneezy, Dopey, Grumpy and Doc - to do things for her and to keep order. The evil villains are Grim and Hildy Gloom who constantly plot to try and steal the secret jewels hidden in the seven dwarfs' mine. Tom Ruegger is the executive producer. Programming note: Winning Post becomes a fixed new monthly horse racing show on CNN International. Winning Post, the special programming horse racing show on CNN International (DStv 401) will now become a regular new monthly show on the global news channel with Francesca Cumani as the presenter. 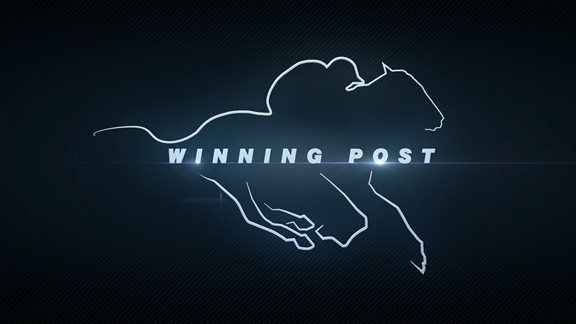 Winning Post started on CNN International last year as a series of specials, but is now expanding to become a regular show. "Winning Post presents an insiders' view of racing not seen before on an international scale; from the refined thoroughbreds to the logistics involved with training, feeding and transporting these magnificent athletes all over the world," says Jamie Donald, the director for CNN International Productions. "We are delighted that a flat racing show now joins CNN's growing sports portfolio alongside Living Golf, MainSail, Open Court and The Circuit." Francesca Cumani will be doing the first monthly Winning Post focusing on two of the most glamorous events in horse racing: the Prix de Diane and the Royal Ascot.